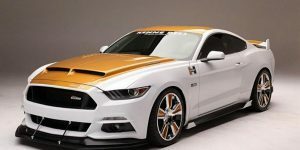 Beastly powerful Ford Mustang represented at the exhibition in Las Vegas comes in a limited edition of 50 units that are already sold?! 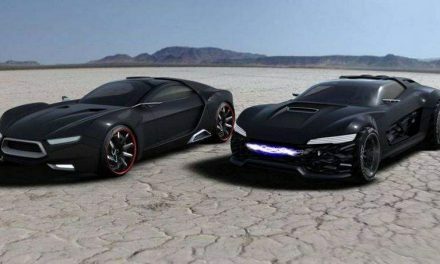 Car manufacturers and other companies use the SEMA tuning auto show for their projects that hardly ever see production. 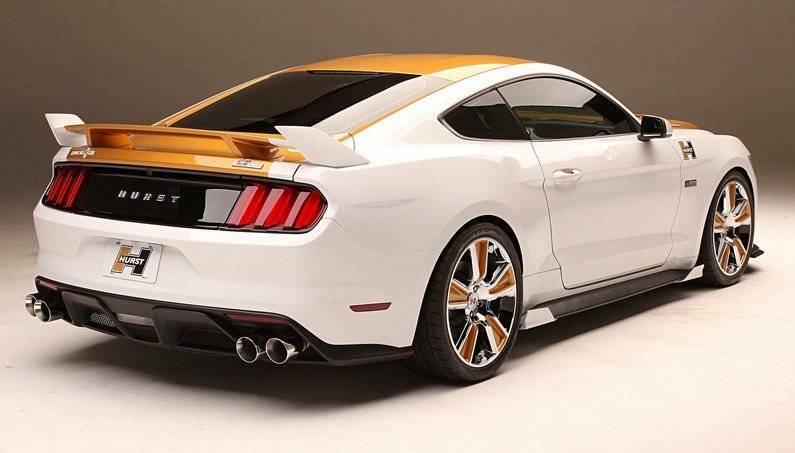 There are, however, exceptions, and one of them is the brutal gold and white Ford Mustang. 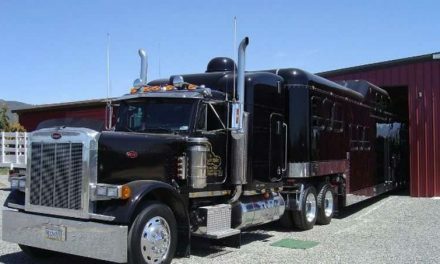 It is prepared by Hurst and Kenne Bell companies and will come in a limited edition. 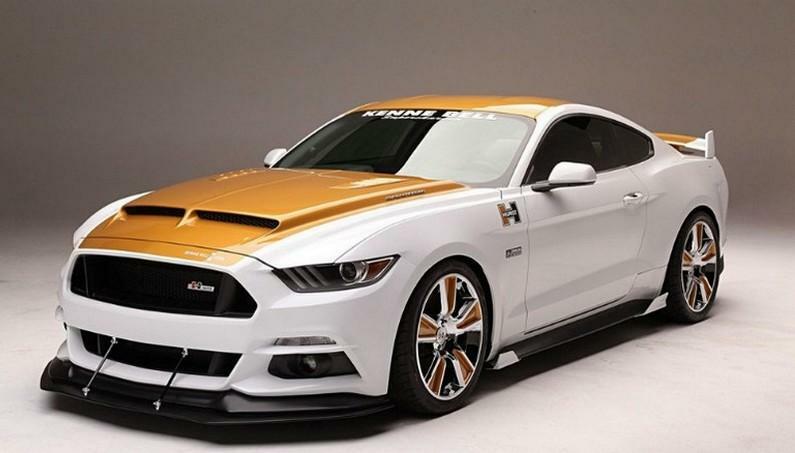 The basis of the gold and white sports muscle car is built on the 6th generation Mustang. 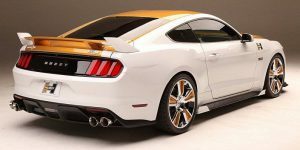 The full name of the project is Hurst Kenne Bell R-Code Mustang, and the company Hurst participates by making a gear, while experts from Ken Bell work on the engine and install the turbine on it. 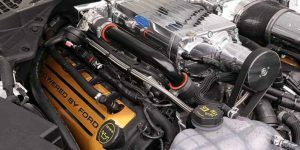 Finally, the atmospheric 5.0-liter V8 engine that runs with a 6-speed manual transmission except for turbo, it got another new system for fuel injection, and a new exhaust system. 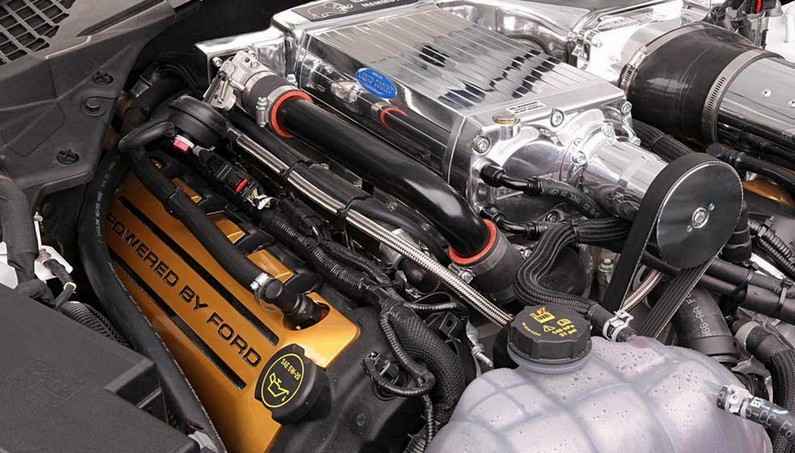 The power of the engine is increased from the standard 435 hp to 750 hp, but it is not the final result. In the arsenal of Kenne Bell, there is more powerful turbine that allows twice as much horsepower – about 1,500 hp. It is interesting that the amortization springs of the vehicle is a standard model, replaced only the springs and thus decreased clearance. 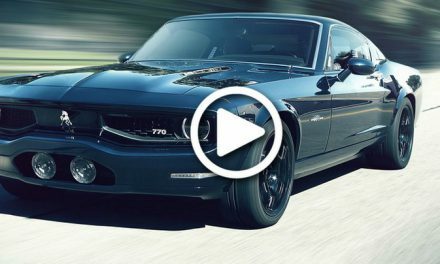 Sports performance received additional aerodynamic elements, a new bonnet, and 20-inch wheels.